Before the arrival of the Europeans in the New World, native societies of Mesoamerica used very few domesticated species. They relied mainly on hunting to provide themselves with meat and other animal products. After the conquest of Mexico and Guatemala, the Spaniards introduced livestock in great quantities which profoundly affected both the indigenous populations and the environment. 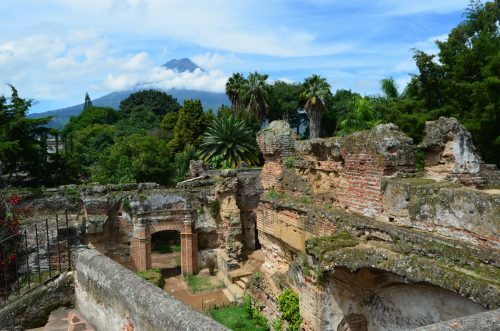 For decades, various archaeological excavations have unearthed animal bones dating from the colonial era in Guatemala, particularly at the ancient Spanish capital and UNESCO heritage site of Antigua, Guatemala. During the summer of 2017, I reviewed the zooarchaeological material curated by the Consejo Nacional para la Protección de la Antigua Guatemala. 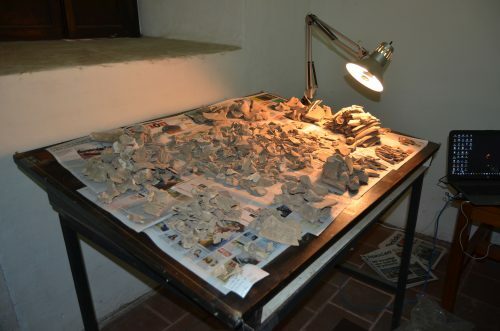 As part of this review, I identified more than 6,000 faunal remains from 11 colonial period archaeological sites in Antigua. I was also able to locate several unstudied collections that will be the subject of my analysis in upcoming research sessions. My research aims at explaining the changing relationship between humans and animals during the Spanish colonization of Mesoamerica. The Spaniards introduced new economies based on domesticated species to Mesoamerican societies who had a very different relationship with the animals. Under the Spanish economic pressure, the scale of animal use and trade dramatically increased. I explore the extent to which domestic and wild animals were exchanged and for what reasons. Recent isotopic research has shown that wild animals and indigenous domestics were traded for elite and ritual activities prior to contact. Were domestic animals also traded for such purposes post-contact? Or were they immediately integrated into a European-based economic market system? Beyond exploring the generation of new cultural and economic practices, my research will also focus on folk taxonomies: did the domesticated animals belong to the same categories as the wild ones in local indigenous taxonomies? Finally, regarding the livestock itself, did its introduction to a new landscape significantly modify the biology of the animal or the population dynamics of the herds? I trace changing frequencies of wild and domestic fauna in colonial assemblages, study the contexts of deposition, and analyze the anatomical distribution and butchery marks to understand the practices of animal processing. I use this data to reveal the transition animal use from wild to domestic, and such details as the transition in butchery practice and in the management of waste stemming from domestic animal processing. To assess the trajectories of animal management and exchange, I will also use stable isotope analyses that will inform on the geographical origin of the animal populations and their diet. Finally, through morphometrics study of cattle tarsal bones, I will document breed selection and recent biogeographical adaptations in bovines.